Dr. Brown has practiced in the Phoenix Metro area for 23 years and serves as an expert witness in cases involving Chiropractic malpractice. 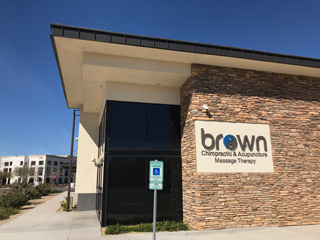 His scope of practice through the Arizona Board of Chiropractic Examiners also includes Acupuncture, Physical Medicine, and Percutaneous Therapy/Dry Needling. He is a Certified Independent Chiropractic Examiner through the American Board of Independent Medical Examiners. Based on this experience and training, he has derived an excellent understanding of the standards of care relating to the Chiropractic profession. Dr. Brown’s expert witness practice focuses on the following areas: Chiropractic Malpractice, Standards of Care, Scope of Practice, Professional Ethics, File Review, Failure to Diagnose, Failure to Refer, Cervical Spine Manipulation, Stroke, VBAI, Carotid and Vertebral Artery Dissection, Lumbar Spine Manipulation, Cauda Equina Syndrome, Electrotherapy and Heat Therapy Burns, Insurance Fraud, Improper Billing, Improper Documentation, and Non-Diagnostic Imaging. Attorneys may contact Dr. Brown at 480-377-1226 if interested in retaining him as an expert witness.